Yesterday we saw adorable Paloma posing with her great grandmother. 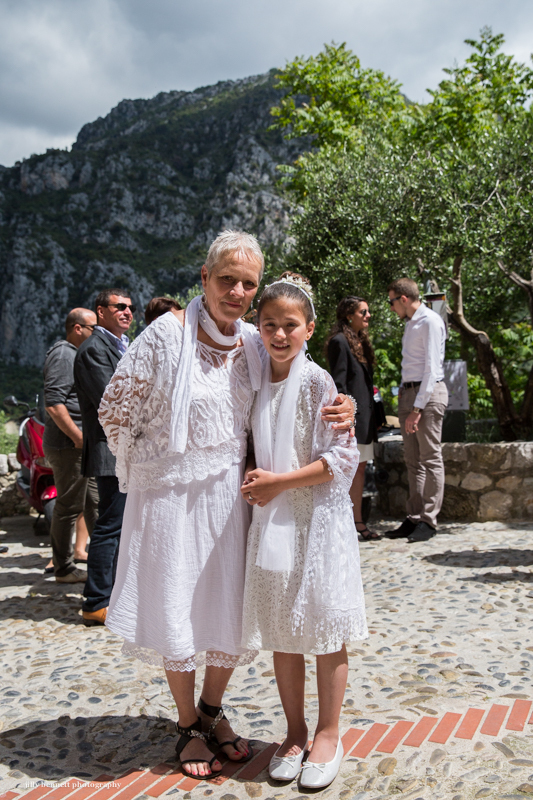 In this photo she poses with her wonderful grandmother, Dominique - two ladies in white. Love that short haircut! Hier nous avons vu l'adorable Paloma poser avec son arrière-grand-mère. 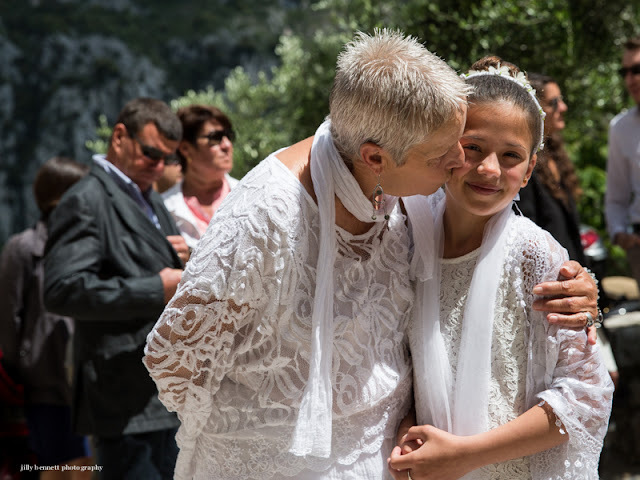 Sur cette photo elle pose avec sa merveilleuse grand-mère, Dominique - deux dames en blanc. J'adore cette coupe courte! Splendid portraits... and those mountains! What a sight! The two of them together make for a wonderful photo! Jilly, you're so right about that short haircut! I wish I had what it takes to pull it off. I'm quite afraid of the end result if I were to get my sweetheart hairdresser Rosa to do this with mine. Will I ever be brave enough? I'm 67 now, you'd think I'd throw caution to the wind and go for it!